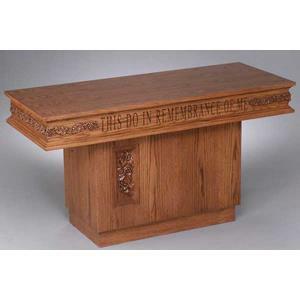 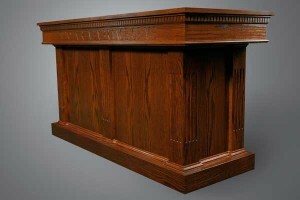 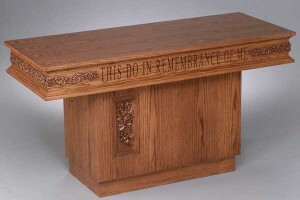 Imperial Woodworks offers a variety of communion tables to suit your needs and style preferences. 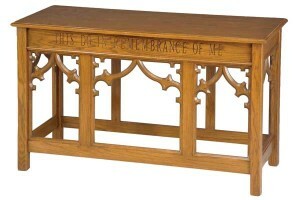 Our closed communion tables come standard at 60" wide, and most include rear access sliding doors. 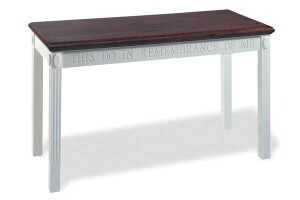 The coordinating open style communion tables are 54" wide standard, and this allows them to be lighter and easier to move around. 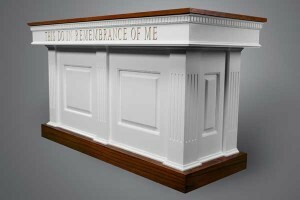 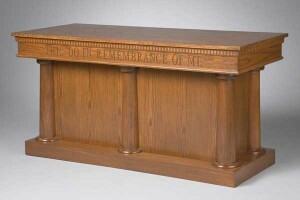 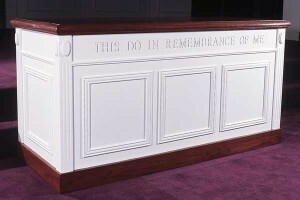 Whether our highly decorative traceries in our #200 Series of chancel furniture, our simple yet elegant #400 Series, or even a colonial two-tone style is more suited to your sanctuary, Imperial Woodworks offers a style of communion table with the quality you demand at a truly affordable price. 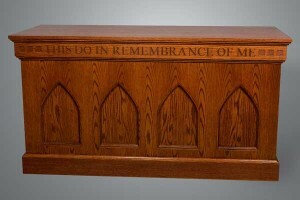 Imperial offers multiple styles of communion tables that offer the durability and traditiona appearance that only finished oak wood can provide, and combines that beauty with acrylic to create a more contemporary appearance and feel. 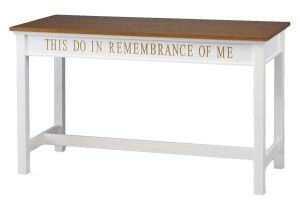 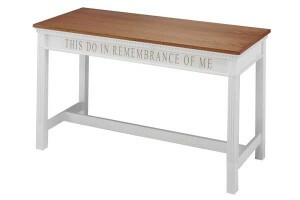 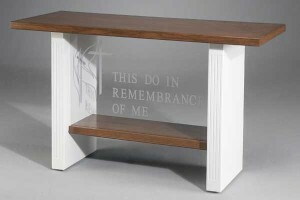 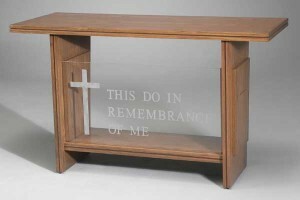 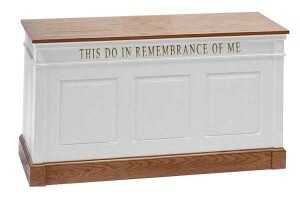 Our combination wood and acrylic communion tables include standard inscription along with your choice of standard symbols. 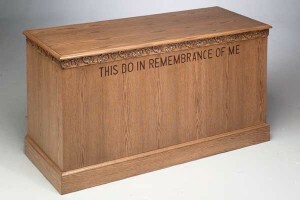 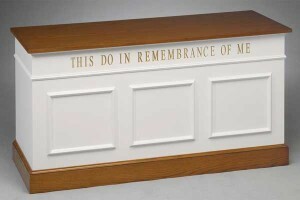 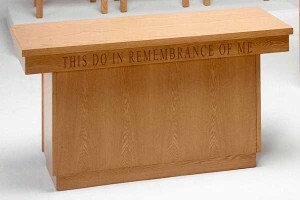 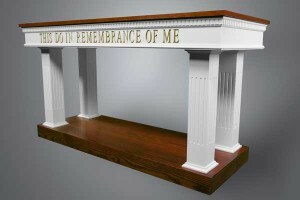 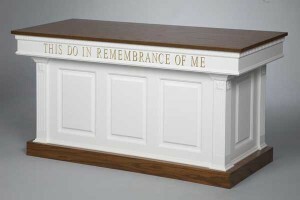 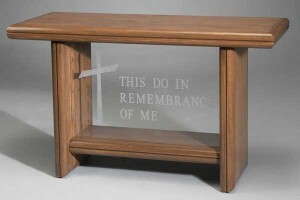 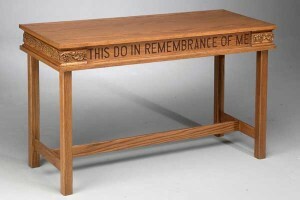 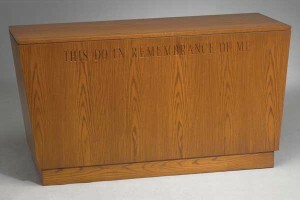 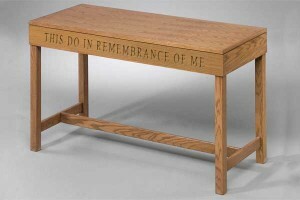 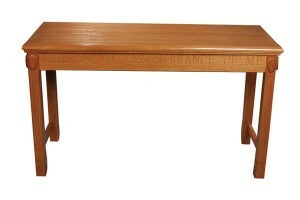 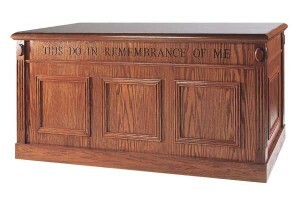 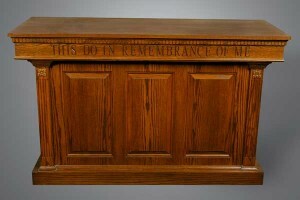 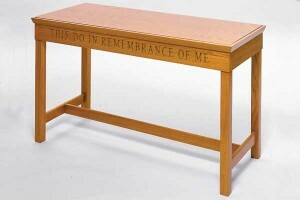 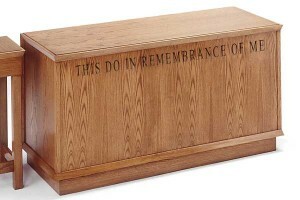 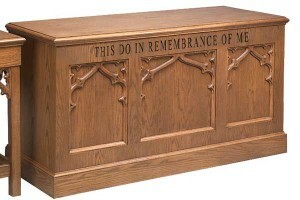 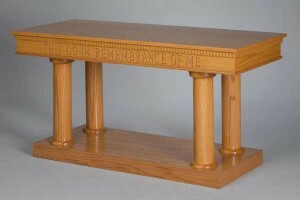 Custom wording and symbols are also available to provide a one-of-a-kind table for your church.